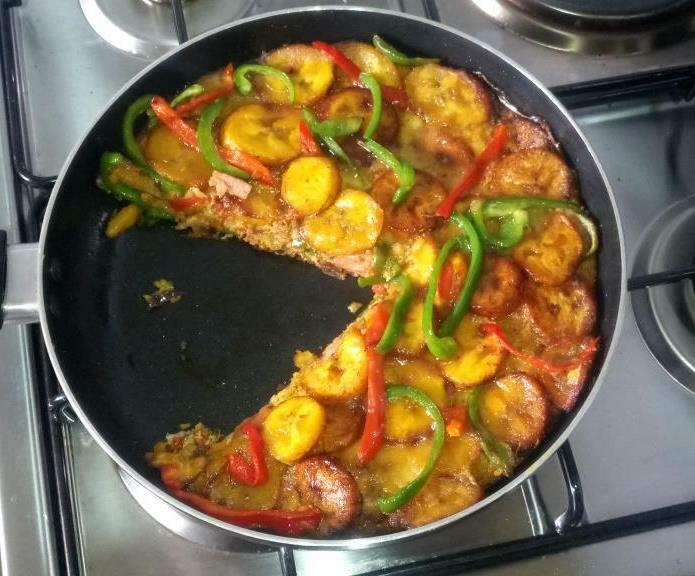 Plantain and egg frittata is what I came up with this morning, this is one of the most delicious breakfast ideas. If you don’t plan on preparing something very complicated in the morning, plantain and egg frittata is the beast idea for you. This is what we call Nigerian pizza because it comes out exactly like it. 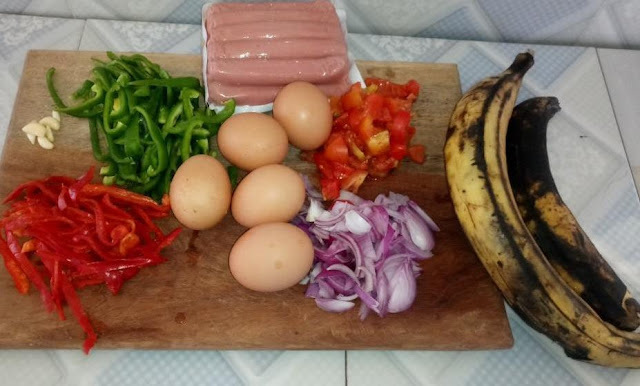 Basically you need ripe plantain, egg and sausage or meat. 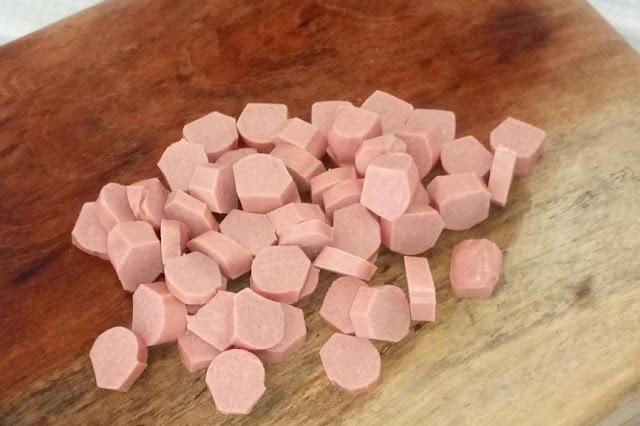 Just in less than one hour you are done with this meal. 1. Peel and dice plantain into tiny round shapes and sprinkle with salt. 2. 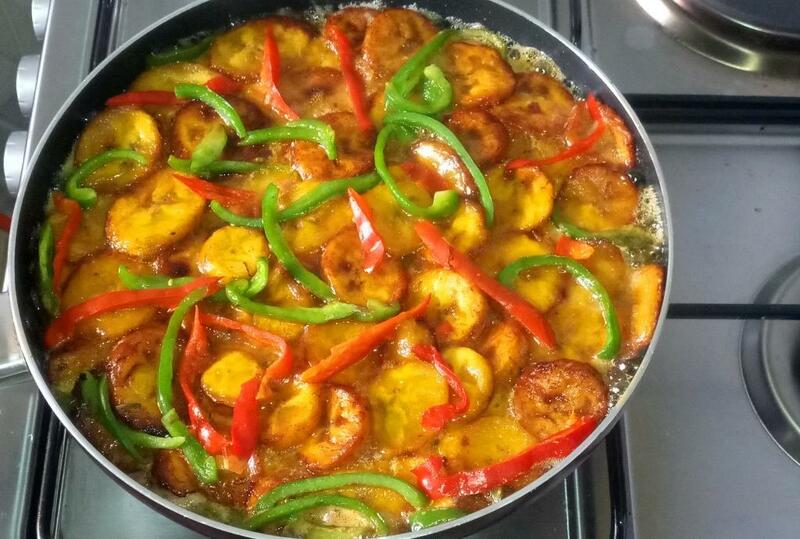 Heat oil in a pan and fry the plantain until they are golden or brown; drain from the oil and set aside. 3. Place and empty pan on a stove, add about 2 tablespoons of cooking oil to it, add onions and garlic and sauté for 1 minute. 4. 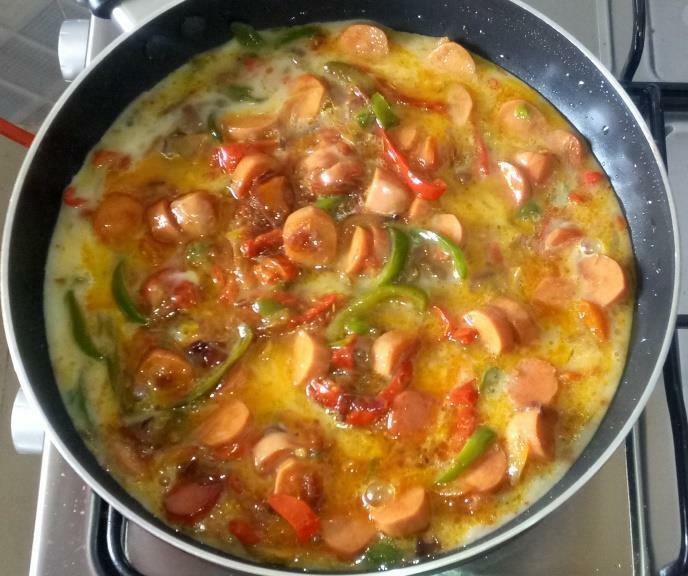 Add sausage and stir fry for few minutes, followed with bell peppers. frying pan into the egg. 6. Place an empty pan on the stove, spray with cooking spray or melted butter to coat the inside of the pan. 8. Add few bell pepper strips for a pop of colour, cover the lid and cook on low heat for 20 minutes until it begins to set and cake nicely. 9. Take it off heat once it has set. Your plantain and egg frittata is ready for breakfast.